What do you mean by ‘accounts preparation’? Accounts tell the financial life story of your charity or organisation. They are legal documents and as such are required to abide by strict rules. They are used for completing your annual return for the Charity Commission or in the case of an Incorporated Entity, Companies House submission and in some case for HMRC to accompany a corporation tax return. With the ever changing regulatory framework and issuance of new Financial Reporting Standards, keeping up to date with the reporting requirements for your accounts can be time consuming and burdensome. At A K Accounting Solutions, our specialists can undertake these services for you, ensuring your accounts are prepared in line with the latest disclosure requirements. In the case of all charities, these are governed by the Charities Commission and Statements of Recommended Practice (SORP). If your organisation is an incorporated entity, these rules can be found in the Companies Act of 2006 and the accounting standards published by the Financial Reporting Council. 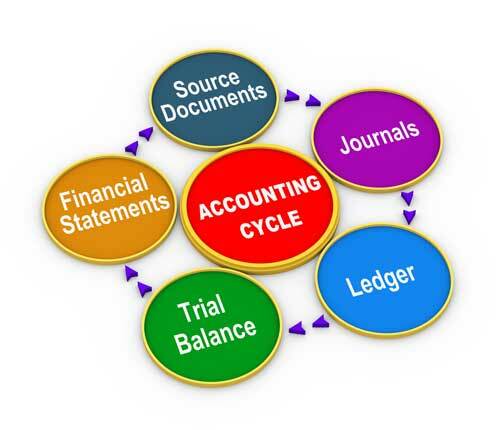 The preparation of accounts is a methodical step by step process. The result of which must portray a true and fair view of your charity or business's results during an accounting period, as well as an accurate portrayal of the net assets of your charity or business at the year end. We understand that red tape can be annoying; it can be time consuming and is full of pit falls. We interact with Companies House, Charity Commission and HMRC on a regular basis, so we understand it can be incredibly daunting for the inexperienced. We ensure your accounts are prepared in the correct format, relieve you of the regulatory burden, leaving you extra time to develop and expand your Charity, Not-for-Profit organisation or Business. We can help you by preparing annual accounts from your trial balance or bookkeeping records, where the bookkeeping is managed in-house. We begin by preparing the necessary year-end adjustments; such as depreciation, accruals, prepayments, and corporation tax provisions where needed. After this, statutory accounts are prepared for you from your figures into a format that complies with all applicable regulations, Charity Commission, SORP, Companies Act, etc. So why get lost wondering about what to send, when and to whom? We can make preparing accounts simple. Dealing with the Charity Commission and Companies House is at the heart of what we do and we’ll take the hassle of it away from you. We try to keep things as simple as we can for our clients and we are always around to answer your questions, so please get in touch today if you need any assistance.